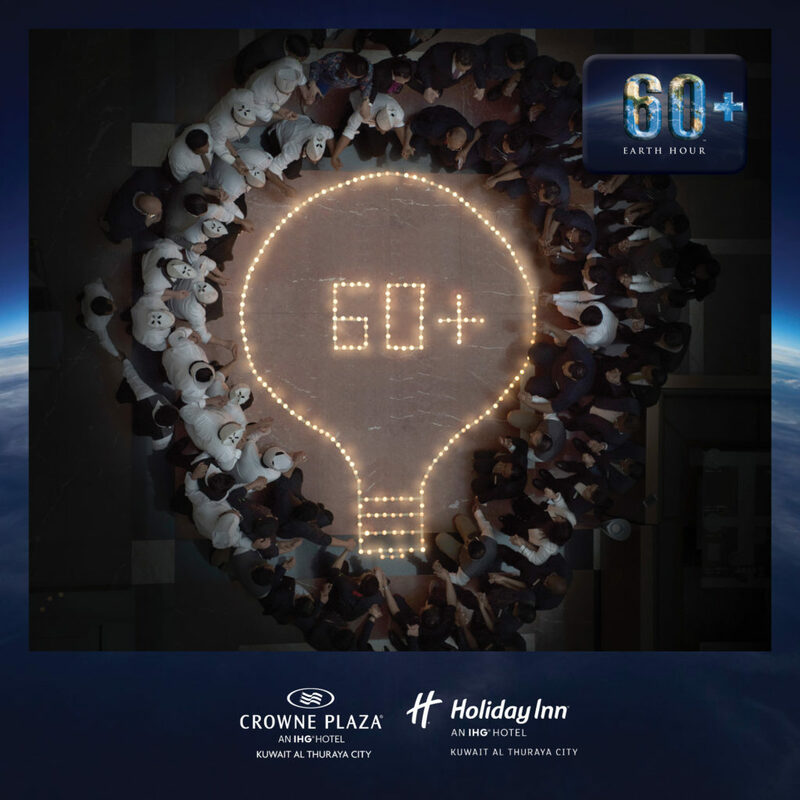 Crowne plaza and Holiday Inn Al-Thuraya city have turned off the lights and electricity on the main venues such as: buildings signage, restaurants, parking lights, swimming pool lights and grand staircase for an hour from 8:30 PM to 9:30 PM to commemorate the earth hour. The goal of the World Wildlife Fund for Nature (WWF) global initiative is for individuals, communities, families and business to turn off unnecessary lights for one hour each March as a symbolic gesture of solidarity with the environmental protection movement. “This event is important to remind us of our responsibility towards the environment. This initiative helps to enhance little small things such as turning off lights in order to preserve the world’s resources for future generations. And we are very glad to be sharing this moment with our guests and staff.” Said Antoine Flouty, Area General Manager – Kuwait/ General Manager – Crowne Plaza & Holiday Inn Kuwait Al- Thuraya City. Crowne Plaza and Holiday Inn Al- Thuraya City have always been a favorite destination for business people, key characters and VIPs. Located in a strategic location where a 5-minutes from Kuwait International Airport and offers access to many leisure and business activities. Al-Thuraya City has wide range of restaurants, local and international cuisines, which offer the guests unforgettable experience where visitors enjoy its distinctive views. The visitors can also enjoy the services of Edge Health Club and the unique Aquatonic Spa in the Middle East.